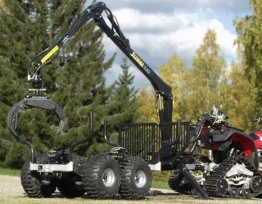 Vahva Jussi are manufacturers of specialist ATV, Quad, and UTV forestry trailers, cranes and grabs. 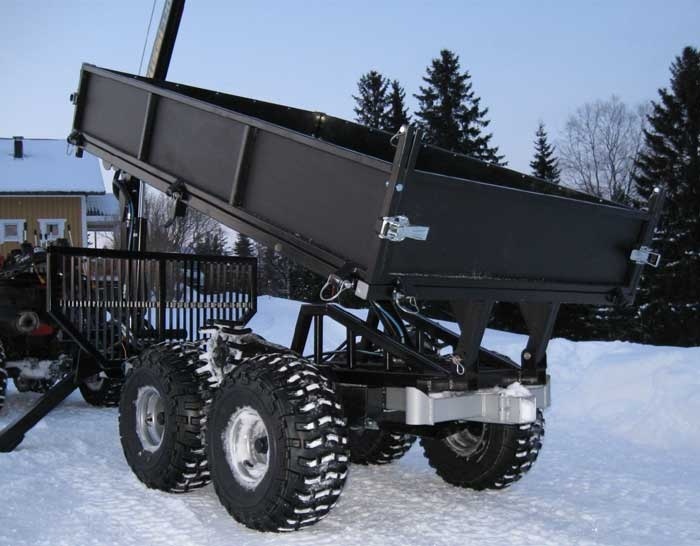 The twin axle trailer chassis has a variety of options available including driven wheels, chassis extension and hydraulic tipping cargo box, the cranes are available with a variety of grabs, stabilising legs and extensions. Although primarily designed for quads and ATVs they can also be used behind suitable 4X4s, compact tractors and utility trucks (UTVs, John Deere Gator, Kawasaki Mule, Kubota RTV900 etc. ), the cranes can be mounted on any suitable chassis these include road trailers, Ifor Williams, Wessex, Bateson etc., or on commercial vehicles. 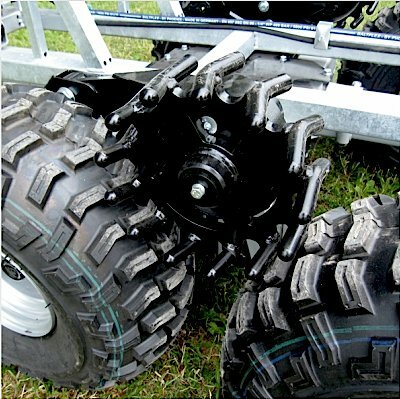 This is a robust trailer designed to be towed behind a ATV, quad or UTV, but could also be fitted onto a compact tractor. It is capable of carrying load of up to 1,500kgs, it has a variety of options including an alternate tipping body (see lower left hand photo) and drive unit to both axles. 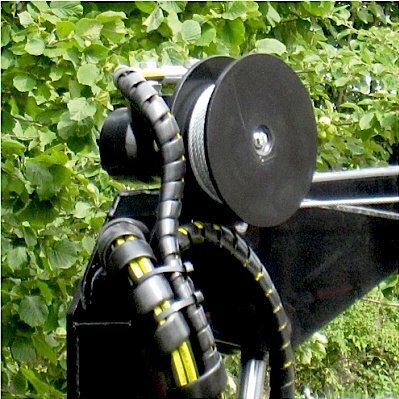 It can also be fitted with a Hook Lift self loading system, this enables to load and unload quickly and easily, please see the video below on the right. 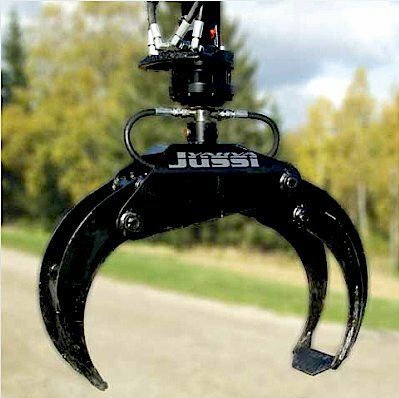 Extends the reach and manoeuvrability, ideal for use with the energy grab. 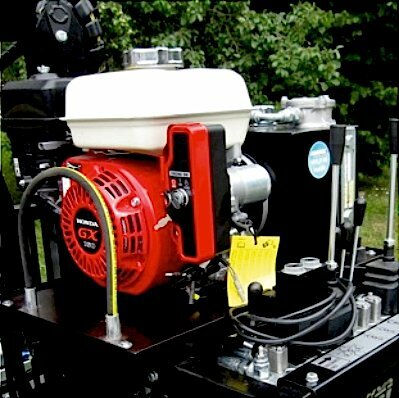 5.5hp Honda petrol hydraulic power pack, electric start option. 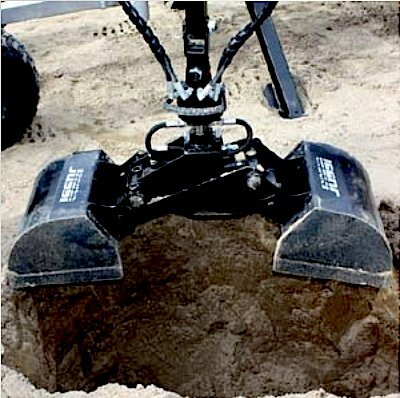 For sand or gravel plus ditch digging. 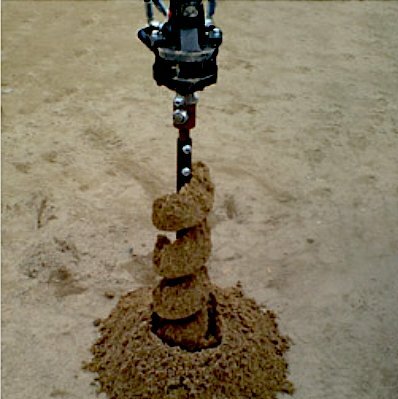 Strong & reliable grapple both light and durable. 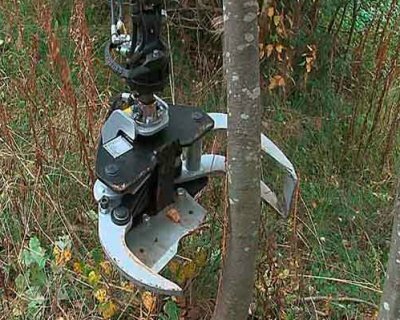 Auger for soft ground, ideal for tree planting & garden work. 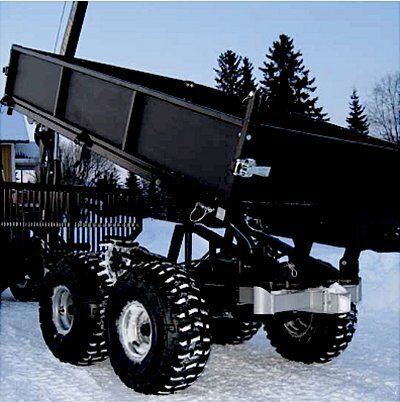 Tipping cargo box, connects to the existing chassis by straps. 4wd drive unit for trailer chassis, can also act as a break on hills. 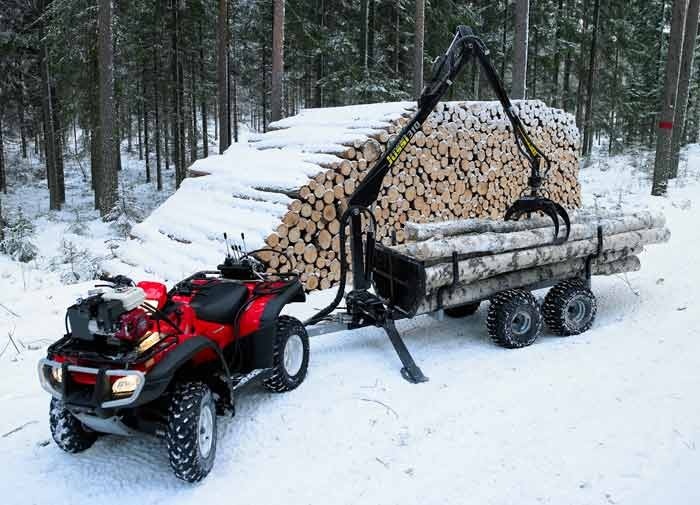 Required when transporting logs up to 5 m long. Two sizes of frame extensions: 0.5 m and 1.0 m Yellow bolster post extension: Required for energy wood and branch transport.